Once regarded as Australia’s unloved ugly duckling, especially when compared to its more glamorous siblings Sydney and Melbourne, Perth is all grown up and turning heads. The new 74-room Alex Hotel is a masterful expression of the city’s changed fortunes. Local architect Space Agency has turned a corner plot in the midst of the Cultural Centre and the entertainment quarter Northbridge into an eye-catching low-rise of bright spacious rooms, while Sydney-based interiors studio Arent & Pyke have added a light palette of colours and mixed textures. 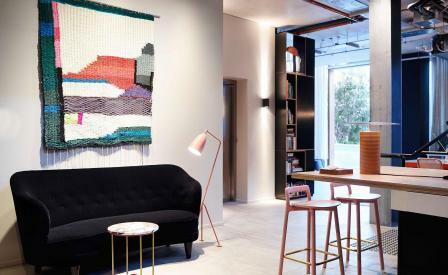 Patchwork rugs, mid-century furniture, locally crafted pots, folksy wall hangings and raw concrete surfaces gently set off Beltrami linen, Bemboka blankets and Sodashi toiletries. The rooftop terrace offers views of downtown Perth, while the Shadow Wine Bar downstairs – a mood-lit den of perfectly chilled vintages from local vineyards – should end an afternoon’s tour of the Art Gallery of Western Australia and the Perth Institute of Contemporary Arts next door.